A day in Kerala starts with the suprabhatham, a cuppa & a newspaper. The papyrus has become such a part & parcel of mallu life that Malayala Manorama is the lone regional daily in India to cross 1.5million copies. Logically, the comprehension of the late news by Keralites are clearly influenced by the colour of the ink in those newspapers, with each leading daily speaking a variant of the story at most times. I read the online version of Kerala Kaumudi, Deepika and Malayala Manorama regularly, and also brush through Mathrubhumi, and it is interesting to note the starking differences between the leading dailies. Kerala Kaumudi is a newspaper with a background of nearly 100 years. It was started with a noble aim, like all old newspapers, has its name etched in the history of Kerala state. But Kaumudi still lags behind Manorama and Mathrubhumi in circulation, some data indicating it is still behind Deshabhimani. Kaumudi has been a torchbearer for the state's socially backward communities, especially the Ezhava, Muslim and the scheduled castes. KK, as we'll call it from now, has a tradition of toiling for the poor and oppressed, against exploitation, harassment and injustice and has done a fairly good job until now. KK is still orthodox in its outfit; it hosts a modest online paper, hasn't yet evolved any sporty looks and fills itself with more news than ads (+1 for that) . It is not much interested in news about development initiatives (though there are welcome signs of change), flaunts a totally sub-par sports page and is an embarrassment when it comes to reporting business news. Appreciably though, Kaumudi has been able to balance itself while doing political reporting, with an arguable, yet understandable soft corner for the left parties. Saying so, its not possible to close our eyes towards the aggressive campaigning to ouster the A.K. Antony led Congress Govt in 1996 after the Sivagiri incident. While Antony was politically at fault in ordering Police action in the revered shrine, Kaumudi went on an open and merciless offensive against the Chief Minister which eventually led to his downfall in the succeeding elections. It may be a coincidence, but KK is a bit too quick at arriving to conclusions, especially if a subject (in person) falls in their pamper-list. When the Nalini Netto- Neelalohithadasan Nadar scandal broke out, KK reported the breaking news as "Upper-class lobby trying to scuttle a backward-class minister". Neelan has been acquitted by the courts now, all right, and we all know under what circumstances, but Kaumudi's 'early-judgement' in this case left me guessing. If there is one single chronicle which could underscore this hasty state-of-affairs and jumping to conclusions at Kaumudi, it is the Sr. Abhaya Murder case. It will be unfair and unjust to comment on this issue because very few really know what happened on March 27th 1992, but Kaumudi guys are dead sure about the murderers. Don't ask how. Perhaps Kaumudi hosts the creme of the investigative journalists in India, who can rival Sherlock Holmes in their profession. Kudos. Kaumudi has been all over the accused, with explosive, extravagant and extensive tales about the crime and has literally sentenced the accused to death. On the other hand, Deepika has been ferocious against any attempts to point a finger at the defendants; for them its a conspiracy against the Church. But what about the poor public? The one truth remains that there can't be two sides to the tale: the accused are either guilty or innocent. 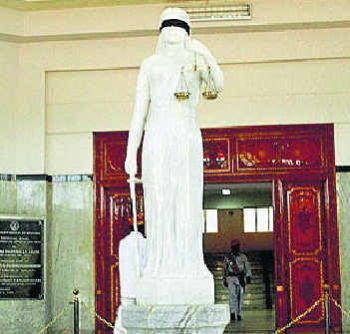 Let the truth prevail at the end, but Kaumudi acted the self-appointed solicitor of the plaintiffs by turning the case into a spectacular tabloid tale, whilst it was still on court tables. KK also landed in hot water through a patriotic editorial with severe remarks about Justice Hema, and had to fall on the court's feet with an unconditional apology. This may be news for you if you're a Kaumudi reader because the contempt of court case against Kerala Kaumudi didn't appear in the newspaper. Why? If you were so bold to take on the courts why hold back from the readers what really transpired? ?